Let Beach City Stairs provide you with the quality and service you, the customer deserves. 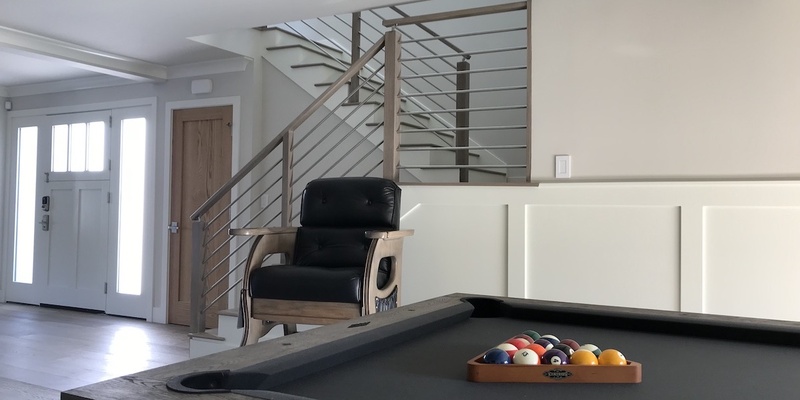 From simple staircase ideas and stair repairs to complete staircase designs, the commitment to our customers is from start to satisfied finish. If you’re not sure what design is best for your home, take a look below at some of our most popular styles and our before and after photos. 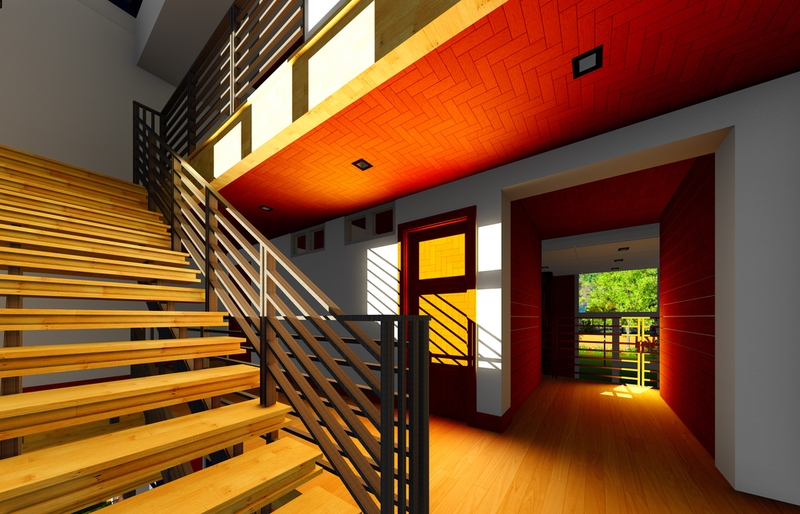 If you have pictures of your current staircase and your desired design, please upload them here. Minimalist design, clean lines, and an open space feel. These are a few of the characteristics of modern design. 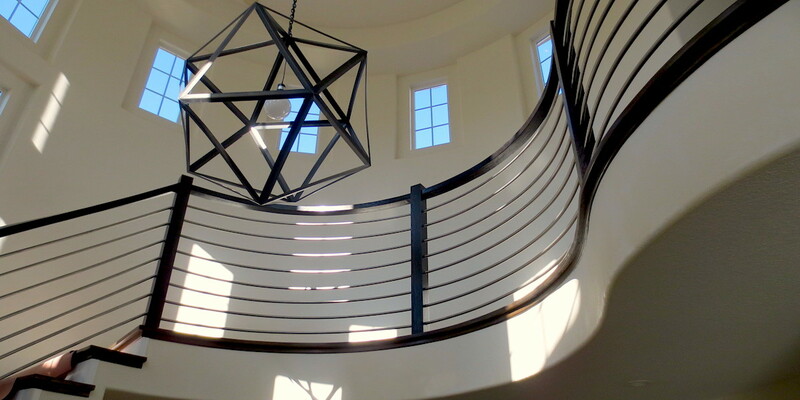 Click to see some examples of our modern staircases. Traditional design is comforting and classic. While it’s inspired by 18th and 19th century decor, it’s never looked better than it does today. 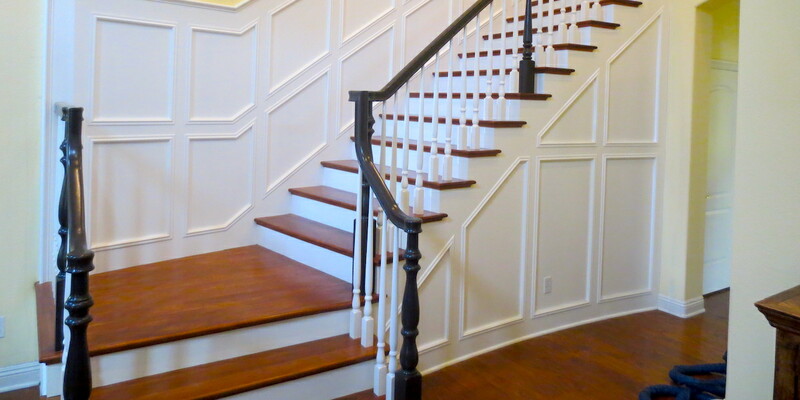 Click to see our traditional stairs. While similar to modern design, contemporary design differentiates itself with modern materials, such as glass and metal. 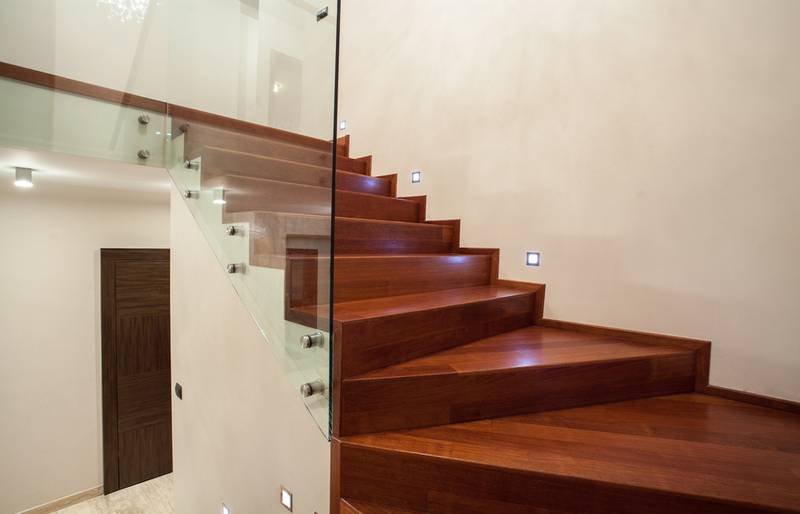 Click to see our contemporary staircases. It’s all in the details. Craftsman design uses natural materials and attention to detail to create a stunning interior. 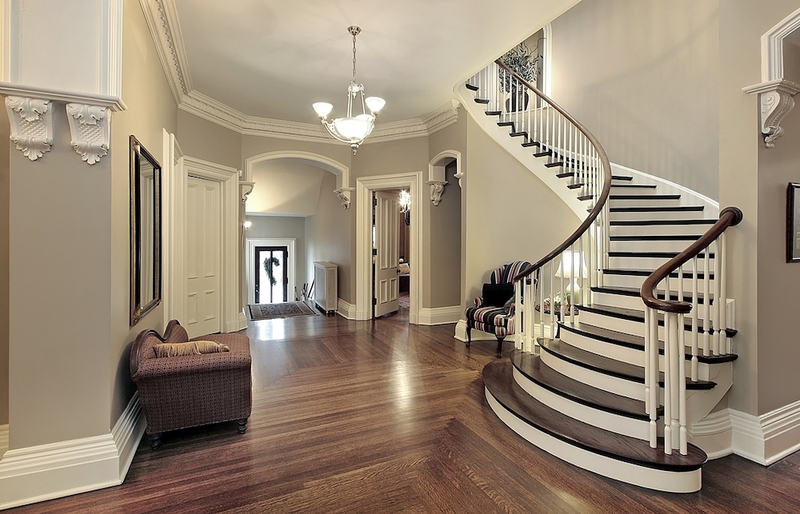 Click to see some of our craftsman staircases. A picture is worth a thousand words. 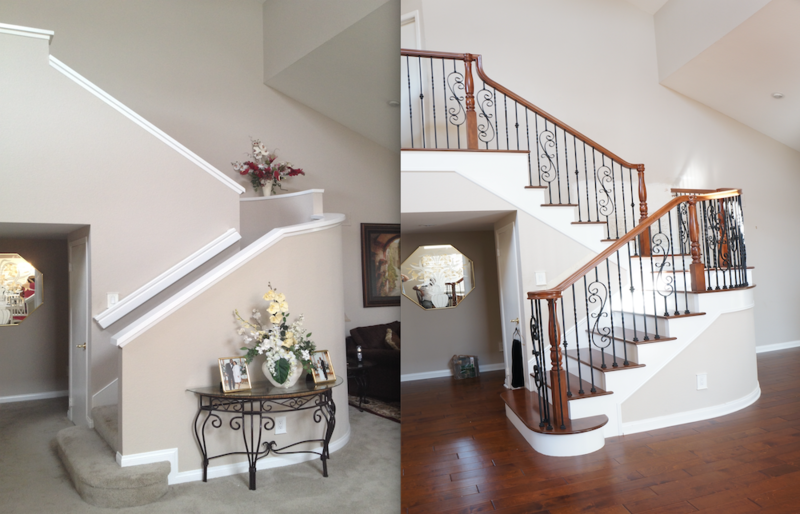 If you’re not sure how much of an effect a new staircase can have on the interior of your home, check out our before and after pics. 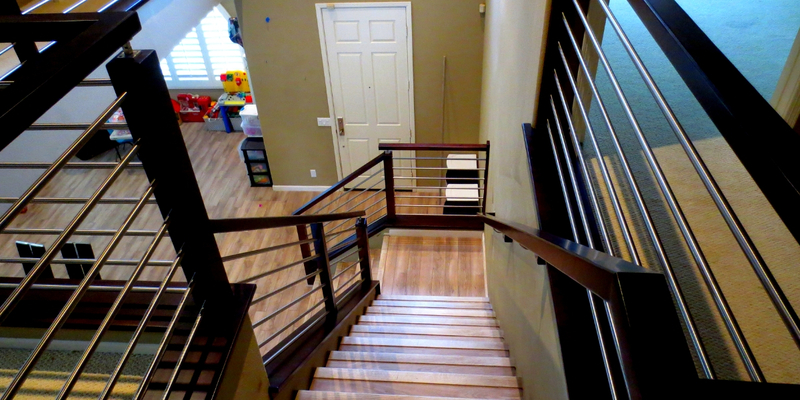 We remodeled our staircase and banister which also wraps around the upstairs landing of our home. The total cost of the job was $8,700.00 with Beach City Stairs which we thought was a very fair price. Andy came to our home for our estimate and listened and understood what we were looking for. 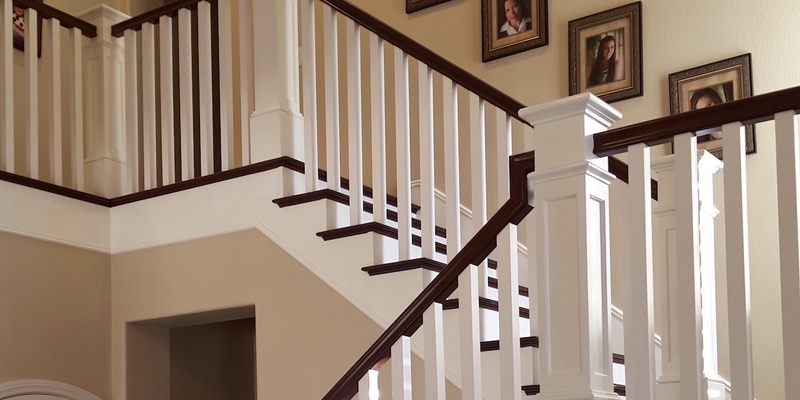 We wanted a traditional style with a classic, timeless look with cottage white wooden balusters and skirts and stained oak rails and treads. They completely covered our wood floor to protect the surface for the entire job. Demo was fast and easy, not too messy. Joe did all the carpentry wood, start to finish. His work is that of a master carpenter. Something that Beach City and Joe should be very proud of. Joe suggested a few minor changes to the bottom treads, which worked very well. Erick and Ruben did all the sanding, staining and painting with lacquer paint and did an amazing job. They color matched our existing crown molding for the skirts and balusters into the lacquer paint. While the process for staining and painting is dusty and smelly, they took painstaking care masking off everything and the stain and paint on our new stairs is outstanding and really shows the quality and care that Beach City Stairs takes to complete a job that the owners will love for years. We had a small hic-up at the end that was a combination of our fault and miscommunication, but Andy, my hubby and I came up with a solution that was workable for both parties and after the carpet was laid the competed project was awesome. 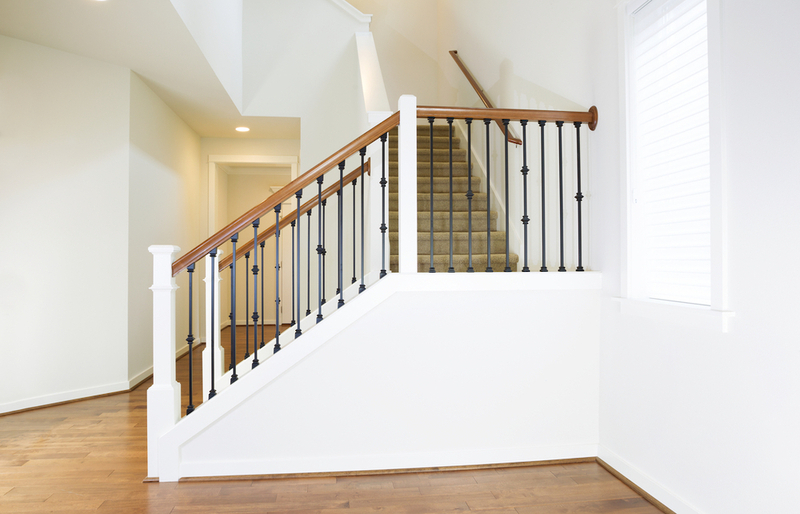 Our job included: New stained handrail, stained wood stair treads on both sides of the stairs, painted skirts and end risers, and 5/8″ tread risers. As a side note: we had the carpet laid using a Z-bar and tack strip which made the stair tread “lips/edge” disappear and flow right into the carpet edge for a flawless and original look. I highly recommend Beach City Stairs. Be sure to ask for a “to scale” drawing and tape off the project on your existing staircase to be sure that your end result will be balanced and what you envision. Thanks Andy, Joe, Erick and Ruben! I reached out to 4 company’s before selecting Beach City Stairs after meeting with Tom. I received a detailed quote and selected them to proceed with our project. The finished stair railings came out better than I had envisioned! Excellent workmanship and wonderful workers completed our job and we couldn’t be happier. The replaced our stuck n the 70’s stair railings with a modern and updated look with beautiful stained oak handrails and steel tube. I would highly recommend Beach City Stairs without hesitation. I’m so glad we selected them!!! Looking for quality, extremely professional service at a competitive price point, look no further than Tom and the crew from Beach City Stairs. We are extremely satisfied with the level craftsmanship and superior customer service exhibited by the Beach City Crew. Although our job was relatively small, the team treated us VIP clients and ensured every detail of the job was meticulously planned and executed. I don’t often submit reviews (unless we’ve received horrible service) but in this case, I feel compelled to thank Tom and the crew, publicly, for a job well done. Excellent company. Superior customer service.